The first few days in our new flat in London were a tad lonely. We didn’t have furniture or most of our belongings. Of course we had many pubs to visit down the street, but we also wanted to be in our new digs. Fortunately we enjoy each other’s company otherwise it could have been horrible. One thing that we did together was listen to the audio book The Mist by Stephen King. This recording is performed like an old-fashioned radio show. Before leaving the US, I uploaded some books to my laptop including this one. And since R.I.P. is currently in progress I thought it would be a fun experience to turn the lights down in our place, grab a couple of beers, and let one of the horror masters scare the crap out of us. This novella was originally published in 1980 and was included in the anthology Dark Forces. Then an edited version appeared in Skeleton Crew, which was published in 1985. In 2007, a stand-alone paperback of the novella was released at the same time the movie based on the story was released. Please note that I don’t give away the entire story in this discussion, but there are some spoilers. After a violent storm passes through the small town, Bridgton, Maine, several of the town’s residents find themselves in a grocery store when a mist descends on the town. The mist isn’t the terrifying part. It’s what lurks in the mist. Soon, the survivors in the store realize that monsters live in the mist and if you leave the store there is a good chance you won’t survive. Early on, one group makes a break for it. Before they leave, they tie a rope around themselves and after a commotion the only thing that returns to the store is the bloody end of the rope. Things are not looking good for the patrons of the store. Terror also lurks inside. Mrs. Carmody is a religious zealot who believes that the storm and mist is a sign that the end of times have arrived and that the only way to appease God’s wrath is to offer a human sacrifice. Many people in the store begin to believe in Mrs. Carmody’s preaching. Only blood will make amends. Not everyone agrees with performing sacrifices. A group decides to make a break for it. But the problem is how far does the mist go? Can they make it to their car before the monsters attack and can they escape the mist or is it worldwide? King has said that he thought of this story after experiencing a gigantic thunderstorm in his home town. The next day, he and his son were wandering in a grocery store in search for hot dog buns. He claims that he envisioned a “big prehistoric flying reptile” soaring in the store. By the time he left the store he had the ingredients for the story in addition to a cookout. I will admit that I have not read much by King. I’ve seen several movies that are based on his books and many of them terrify me. However, I didn’t find this story all that riveting or terrifying. I did enjoy that this was recorded like a radio show. It was a fun and an entertaining way to spend a night. But I wasn’t taken in completely by the horror. He didn’t scare the crap out of me. This does not mean that I will write Stephen King off completely. I would like to delve into other works by him and to find out why so many readers are devoted to his stories and novels. Any suggestions? 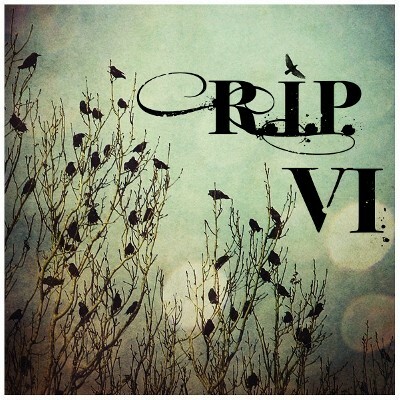 If you would like to see other reviews for R.I.P. please visit this page. I still don’t have access to the internet in my home. There might be a delay in responding to all comments. I’m hoping to be fully up and running soon. I appreciate all of your patience. This entry was posted in Books and tagged 50 Year Project, Book Review, Horror Novels, Maine, Novellas, R.I.P., Skeleton Crew, Stainless Steel Droppings, Stephen King, The Mist. Bookmark the permalink. Yea, you posted!! I miss you and I’ve been thinking of you every time I post a fall Colorado picture. About 13 years ago, I swore off Stephen King after reading many of his books – he was just disturbing me so very much. But about 4 years ago, I decided to give him another shot, and The Mist was the book I chose. It totally freaked me out. I remember why I swore him off, and have now sworn him off again for good. However, my daughter loves his books and has read nearly all of them (even at 14). From the old days when I loved him, The Stand was one of my favorites, and she liked It a great deal. Hello!!!!! I’m so bummed I’ve been missing the Colorado pictures. I’ll have to check them out when I am fully up and running. I have a copy of The Stand so I will give that a go. And I’ll look into It. I wonder if the Mist wasn’t as scary since I was listening to a radio show. Thanks for the suggestions. I hope to be back soon and catch up. I miss your photos and poems! Thanks. Soon I’ll be back to normal and visit every day! 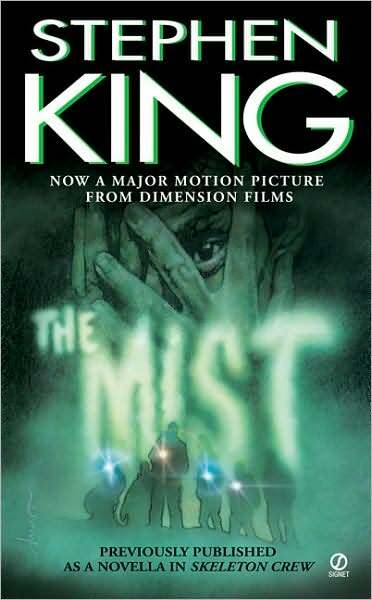 The Mist is one of my favorite King stories. I’ll bet the audio version is great. The movie was terrible. It’s a huge book, but I recommend “The Dome.” Fantastic. I enjoyed the radio show! I haven’t heard of The Dome. I’ll have to look into it Thanks for the tip! Hi Nia. I’ve only read one Dean Koontz and it didn’t have a dog in it. The book sounds interesting. Maybe I’ll look into it for next years RIP. Thanks for the suggestion. The radio program format for this book was entertaining. I also wish I had more time to listen to radio shows. I hope all is well! You should give the the audio version a try. It was a fun way to spend the evening and it isn’t that long. I’ve heard good things about Salem’s Lot. I’ll have to add it to my list. And the Cycle of the Werewolf sounds like a great way to tell the story of a werewolf. Thanks for the tips! I hope all is well on your end! The Mist is quite short so it didn’t feel slow. I can imagine with some of his books, and I’m basing this observation on the sheer size of the novels, that he does include a lot of back story. I’ll have to try some that people have suggested and see if I can get into them. Hi Saisri! I’m loving it here. It is such a great place to explore! I hope you find the book and enjoy it. His imagination scares me somewhat. But I bet he doesn’t get bored when he gets stuck in traffic. Great review!! I like the mist but not my favorite from SK. Have you seen the movie? The movie has a better ending,in my opinion. Thanks! I haven’t seen the movie yet. I’ll have to check it out now that I’ve read the book. I love comparing the movies to the book, even though I’m often disappointed. I hope all is well! I’ve never been much of a Stephen King fan to be honest, although the movie for The Shining was creeptastic. I love the Shining. It was on last night, but I skipped it since I had a feeling that I wouldn’t sleep well and I had an early morning. I agree with you, it is creeptastic! I remember seeing previews when the movie came out, but I have never read the book before. I don’t read a lot of Stephen King to be honest. I haven’t read much King either. I’m wondering if you either love his works or hate his works. I’m willing to give him another go to find out. I missed your return. If you are soon up and running I hope you’ll join Lizzy and my German Literature Month in November. We are also hosting giveaway on Wednesdays, readalongs, discussions. It would be lovely if you could join. I’ve only read Carrie and his book on writing which is excellent. I know of some people who have been terrified by some of his books and I have been quite a bit scared by the one or the other movie. I’m not big on horror but for some reason he makes me curious and I’d like to read at least another one. I should be up and running in November. I’ll have to check out your blog to see what’s going on. I’ve been meaning to read The Tin Drum and The Magic Mountain but haven’t had time yet. I’ll have to look at my shelves to see what I have and if I have the time. It sounds like fun. One of my former coworkers loved King’s work. I’m trying to figure out if I can get into his novels and stories. I’m not much of a horror fan, but I feel like I should read some of his books since he has such a following. I think The Shining is on my 1001 list. I didn’t know he had a book on writing. I’ll have to look into that one. I love learning how people view their craft. I hope to be in regular communication soon. I am not the biggest Stephen King fan, but I love this Novella. Have you seen this movie? It is very good. It remains very faithful to the novella and puts a very interesting twist on the ending of this story. I haven’t seen the movie, but now I am curious about the twist at the end. I’ll have to check it out.